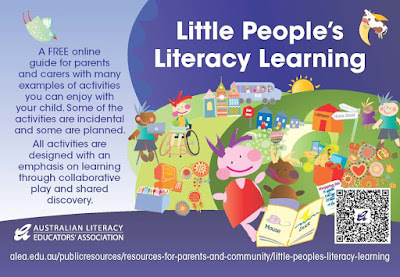 My colleague Anita Ayre and I have written a resource program that is available free via the Australian Literacy Educators' Association website. The resource is called 'Little People's Literacy Learning: A guide for engaging parents and carers'. It offers practical help for parents and carers of children aged 0-5. And it's FREE! This FREE online guide for parents and carers comes with hundreds of activities that you can enjoy with your child. Some activities are incidental and some are planned. But all activities are designed with an emphasis on learning through collaborative play and shared discovery. Anita and I are experienced teachers, and also active grandparents who love spending quality time with their grandchildren. In this resource, we offer a wealth of suggestions and hints for parents and carers who want to engage with their children in literacy learning and mathematics activities. 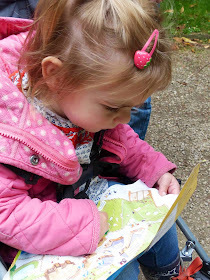 All activities are designed with an emphasis on learning through collaborative play and shared discovery. They can all be incorporated into daily life with very little (or often no) preparation! We offer hundreds of integrated examples throughout, including how new technology and multimedia can also enrich the learning experiences of your child with the same richness as other non-technology applications. You'll also find some advice on how to monitor and control screen time. 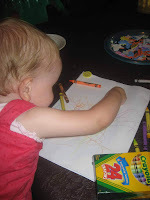 The resource contains practical and VERY doable common sense activities. You will find it HERE.